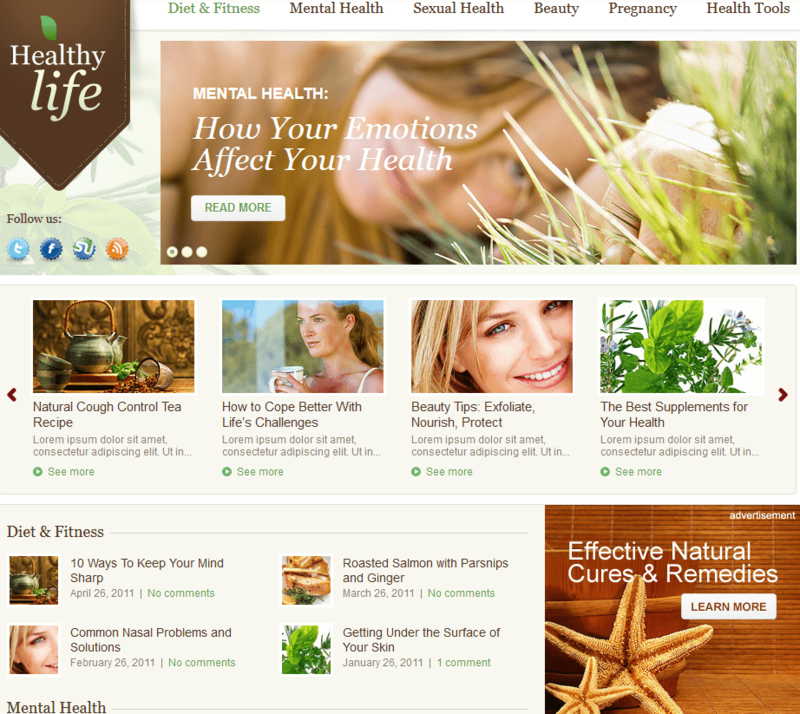 Diet & Nutrition Health Center: a fully responsive theme for diet sites. It has a custom slider with a cool effect. You can share cooking recipes with your audience easily. The theme has plenty of useful page layouts. 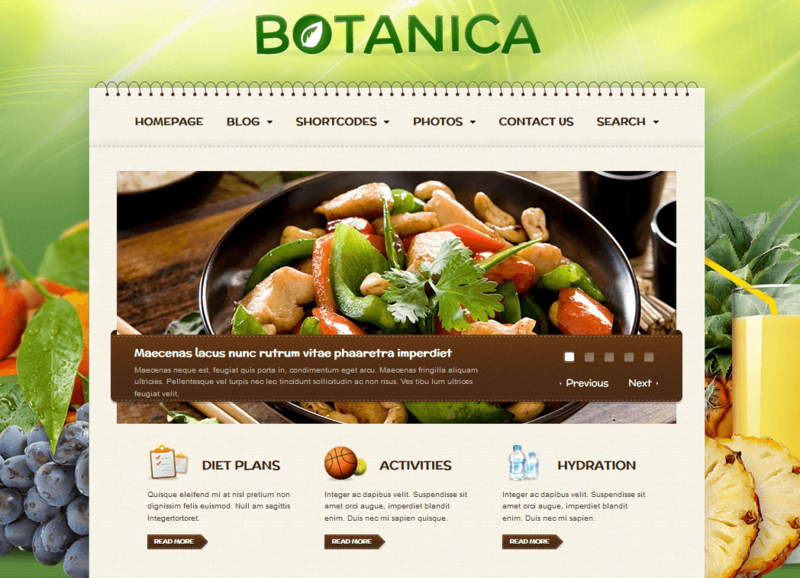 Botanica: a theme for diet and fitness sites. It has a helpful control panel, which makes it easy to customize the theme. You get Google fonts, translation support, drag & drop homepage builder, and more. 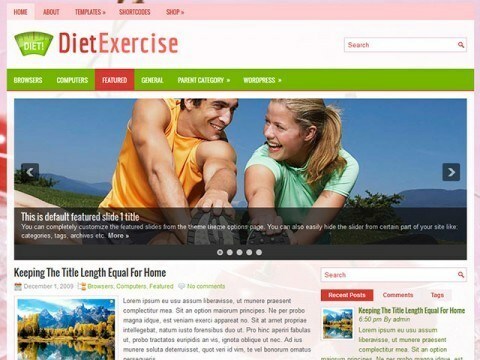 DietExercise: a free theme for fitness and diet sites. It has a responsive design, 4 custom page templates, and a short-code generator. 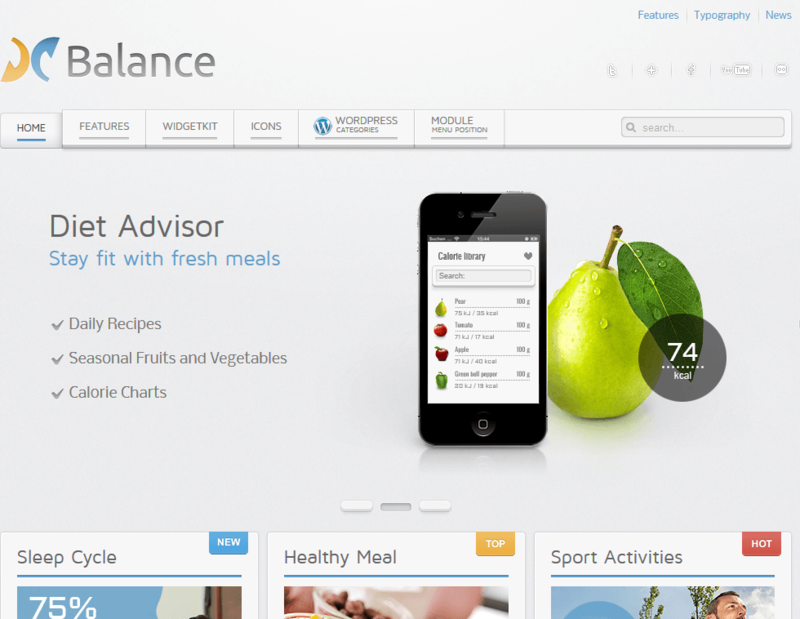 Balance: an elegant theme for diet sites, health businesses, and other professionals involved in this field. It has 4 badges and 6 icons in addition to 9 background images. A Joomla version of it is available also. Healthy Life: works for more than just diet sites. It can serve as a blog or gallery. The design puts emphasis on your content. Have you found better diet themes for WordPress? Please share them here.